Victoria Police made ​​the arrests after executing search warrants , with all the players and staff arrested from bottom- placed Victorian Premier League ( VPL ) club Southern Stars FC. Police said many of the players arrested were from the United Kingdom and playing in Australia in their off- season. Football Federation Australia received reports of irregular betting patterns VPL in August from Swiss -based intelligence agency Sportradar. FFA passed on the information to police within 24 hours of receiving the alert , with the resultant police investigation culminating with Sunday 's dawn raids. There were estimated betting winnings in Australia and overseas of more than $ 2 million identified in connection with the Alleged match- fixing ring , police said. They said they would be looking to prosecute members of an overseas syndicate , believed to have been operating throughout Europe. 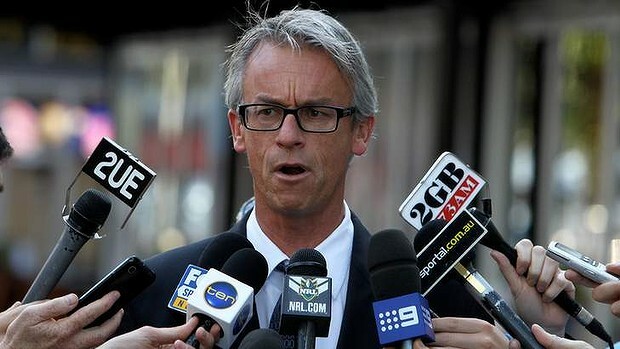 FFA chief David Gallop said the bets were placed mainly overseas. Victoria Police deputy commissioner Graham Ashton said it was the biggest case of Alleged match- fixing in Australian sports history. 'This is the first case we've uncovered of this level of match- fixing in Australia , " said Ashton , who warned that Australia was susceptible to international match fixing. 'Further match- fixing risks are imminent in Australia , partly because of localized overseas betting on Australian sporting events due to our favorable time zone.
' It is vital that we continue gathering intelligence to take preventative action to make it difficult for organized crime to infiltrate our sporting codes. He added: 'We hope this Sends the message that we're not a soft touch ... We'll be onto it. 'Gallop said it was a reminder of how lower leagues are ' sea potentially susceptible to this kind of activity " given the absence of the checks and balances present at international and A -League matches.
" It's certainly alarming but it 's good to see the police and the Victorian government, with special (match fixing ) legislation , are coming in and addressing this issue quickly, " Gallop added. The Southern Stars have played 21 matches this season for 16 losses and four draws, with Their only win a 1-0 victory over top- placed club Northcote City last month. Those arrested are expected to face match- fixing charges , Which can attract a 10 -year maximum penalty .In addition to the criminal proceedings in Victoria , FFA will charge the people arrested today under the FFA 's National Code of Conduct. They will face a range of sanctions including life bans from football Which would apply worldwide.